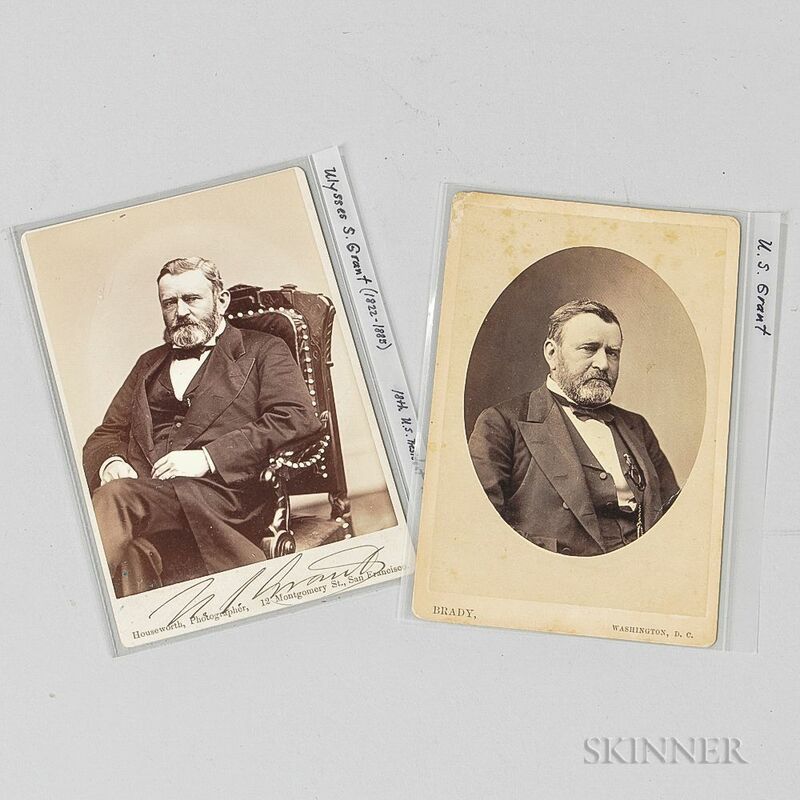 Two General Grant Cabinet Cards, c. 1870s, a Brady image of Grant, marked on the bottom "BRADY WASHINGTON, D.C.," and on the recto "BRADY'S/National Portrait Gallery/625 Pennsylvania Avenue/WASHINGTON, D.C."; and a seated image of Grant with a stamped signature at the bottom and marked "Houseworth, Photographer, 12 Montgomery St., San Francisco," and on the recto "HOUSEWORTH'S/SOUVENIR/PHOTOGRAPHS," overall ht. 6 3/8, wd. 4 3/16 in.